I better insert a spoiler alert before we begin today as I’ve once again raided the blog of photographer Leslie Williamson as she puts together the second edition of her handcrafted modern book. Now I really hope I’m not revealing too much that is to reach the final publication, I’m assuming these are really great outakes that Leslie has decided to tease us all with online. With every new announcement I’m getting more and more excited by what the new book will bring, last time she featured here we highlighted the shoot she did within Alvar Aalto’s studio. Since then she has revealed to us that she will be including Italian architect Gae Aulenti and Scandinavian furniture master Hans J Wegner within this series. Off the top of my head I can’t recall Aulenti reaching our archive before, however it’s great to be able to get further context to designers like Aalto and Wegner who have been included several times. 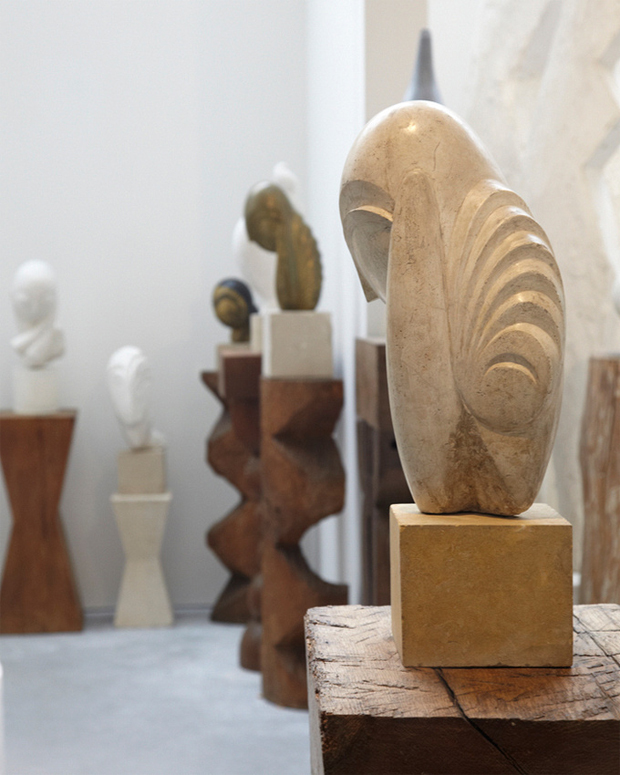 In fact the individual she has highlighted most recently appeared on our format back in August so it’s nice to be able to complement the vintage photographs of Constantin Brancusi’s studio with recent ones that Leslie has captured. The Romanian born sculptor made his career in France so these have all been taken in Paris, within the Centre of the Pompidou in Paris which was designed by Pritzker Prize-winning architect Renzo Piano. 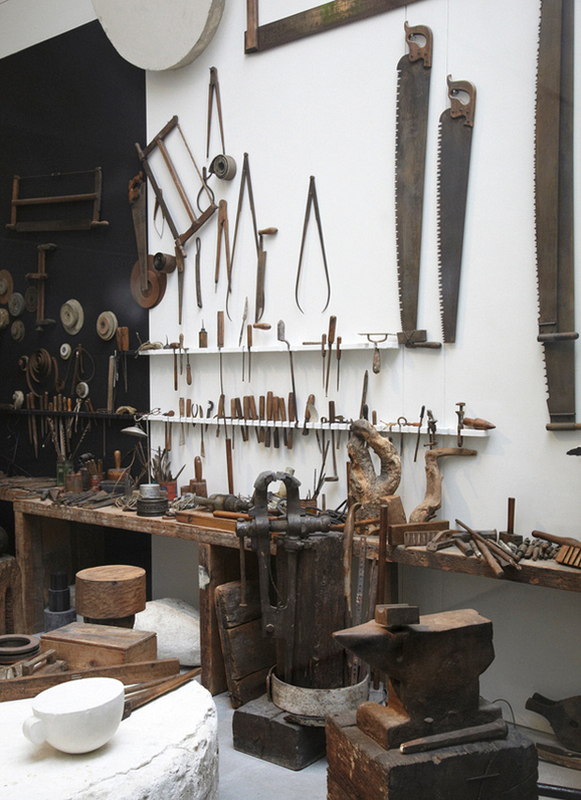 Many of you I’m sure now will be wondering why this is titled Atelier, the French word for workshop, and not exhibition, as this isn’t where Constantin originally created his sculptures. 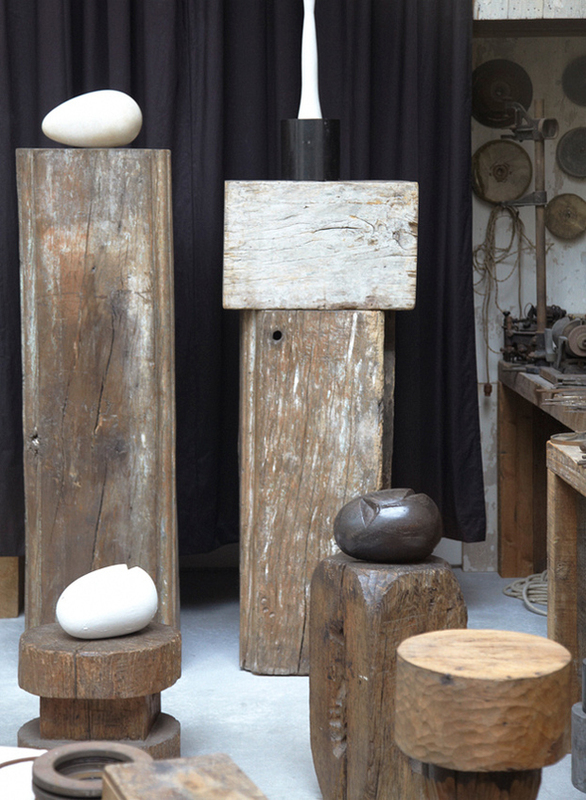 However it transpires that Brancusi left his studio as it would have been upon passing with strict instructions to enable it to be recreated in its entirety for people to visit and appreciate elsewhere. 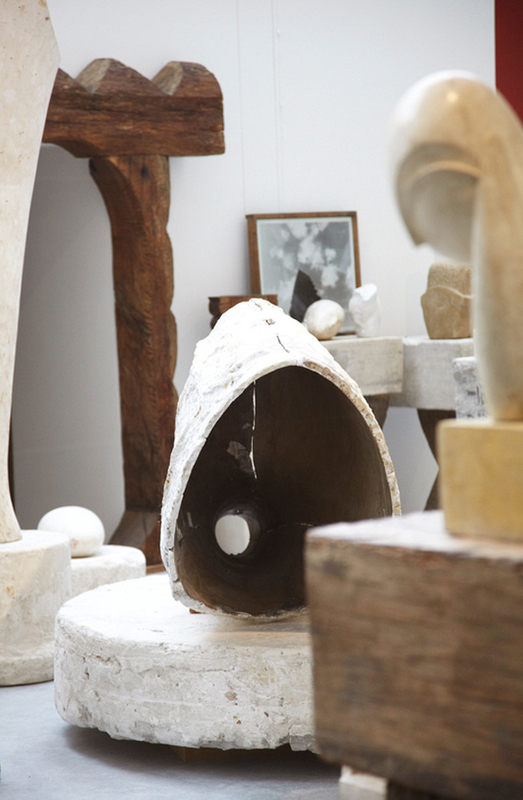 If you’d like to do a little compare and contrast of his original studio and this space you can do so via our archive. 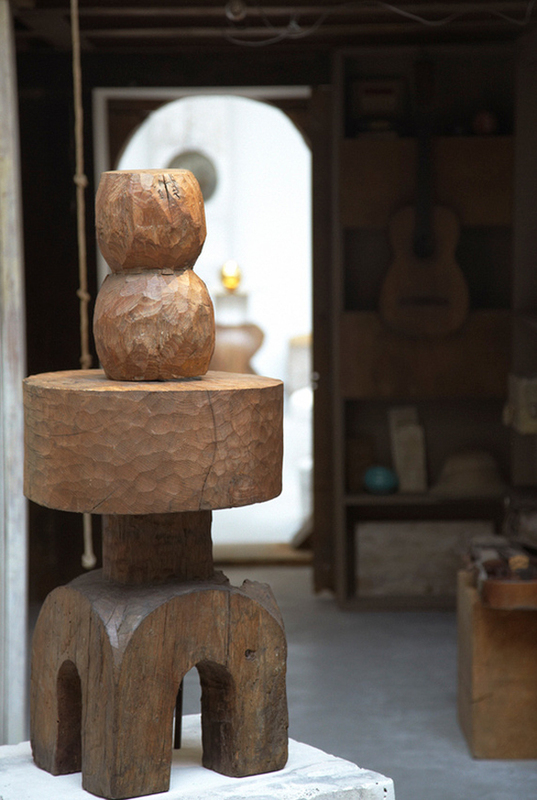 What can’t be compared however is the imagination and handiwork of a real master craftsman. I know if you’re anything like me you’re longing for a little more than what we have here, but unfortunately just like us you’ll have to wait and get your hands on a copy of Leslie’s book yourself. I’ve not heard of an official release date just yet and I check her blog pretty frequently, however we appreciate you can’t rush perfection and hopefully you will too. If her first publication was anything to go by then the wait will soon be forgotten, in the meantime if you enjoy these get following her blog! – Enjoy.